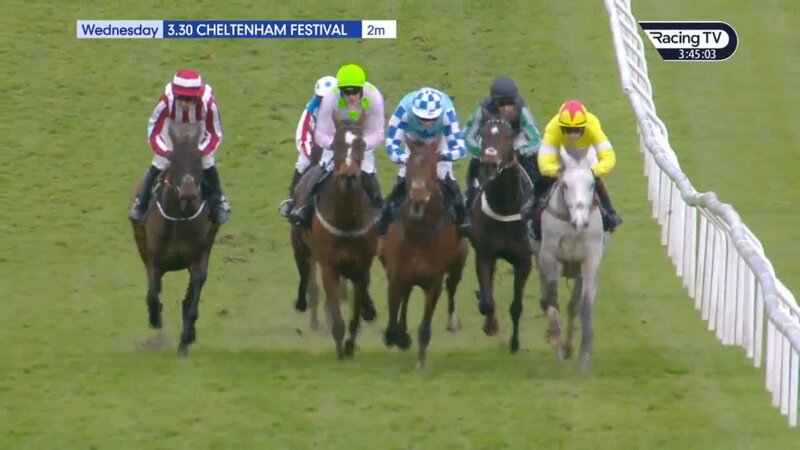 Every year you hear people mention the importance of having previous festival form at the Cheltenham Festival so this article will highlight some horses with that profile. Defi Du Seuil is a short price for both the Arkle and JLT in the Cheltenham Odds with the former his most likely target according to trainer Philip Hobbs. He gained valuable course experience as a juvenile before bolting up in the Triumph Hurdle in 2017 by 5 lengths. He skipped the festival last season but gained more experience at the course in January when second in the Dipper Novices’ Chase and is deservedly towards the top of the market in both races. Kalashnikov went into the Supreme Novices Hurdle last season as the 5/1 second favourite and looked the winner turning from home. He was beaten by Summerville Boy at the finish by a neck but the form of that race doesn’t look as strong as many years. Paloma Blue was further back in 4th in the Supreme who looks set to contest the Arkle but both horses have to improve to win the race in my opinion. Minella Rocco has been well supported in recent days for this race and looks well handicapped based on his previous festival form. He won the National Hunt Chase in 2016 when he beat subsequent Gold Cup winner Native River before finishing 2nd behind Sizing John in 2017 Gold Cup where he achieved a rating of 165. He missed the festival last year through injury but looks extremely well handicapped this season in a handicap of 152. Mister Whitaker won the Close Brothers Novices’ Handicap Chase last season at the festival off a mark of 137 and despite running here off a mark of 151 this season, punters seem happy to back him at odds of around 12/1. He is also in the Ryanair Chase and Gold Cup this season but looks as if this will be the target but he wouldn’t be on my shortlist off 14lb higher this year. Singlefarmpayment is an extremely frustrating horse who should have a better career record than 3-24 but he has got form in this race. He finished 2nd in 2017 off a mark of 142 before a 5th place finish last year off a mark of 145 despite struggling on the heavy ground. He runs in the race for a third time this year and off a mark of 146 should be involved in the finish, albeit probably an unlikely winner. Buveur D’Air has to be the starting point for this race having won the last two renewals; you can’t get better previous festival form than that! It looks as if he will have to be at his best this year to complete the hat-trick though with the two mares looking set to take their chance. Apple’s Jade has run at the last three Cheltenham festivals and run with credit on all of those occasions. She was second in the Triumph Hurdle in 2016 before winning a strong renewal of the Mares’ Hurdle in 2017 beating previous festival winners Vroum Vroum Mag and Limini in a thrilling finish. She was slightly disappointing last season when beaten as a 1/2 favourite but has furthered her form this season and looks worthy of her place in the Champion Hurdle this season. Laurina is the unknown quantity of the Champion Hurdle having won all of her six starts since joining Willie Mullins. She won the second running of the Mares’ Novices Hurdle last season by 18 lengths and despite having over 6lb to find with the top two in the market, she looks to hold strong claims. O’Connor for this race he does still hold question marks about the trip though in my opinion. Others in the race with previous festival form include Ballyward who finished 4th in the Albert Bartlett last year, Champagne Classic who won the Martin Pipe Handicap Hurdle in 2017, Discorama who finished 2nd in the Martin Pipe Handicap Hurdle last year and Impulsive Star who finished 4th in this race last season. Preference goes to the latter though who had an interrupted prep last year and has the proven stamina for this 4 mile test. The RSA this year looks one of the races of the festival with the form of three hurdle races from last year being tested. Santini has been antepost favourite for this race since his 3rd in the Albert Bartlett last year prior to winning at the Aintree festival. He won well on chasing debut at Newbury but was soundly beaten in a Grade 1 novice chase at Kempton on Boxing Day behind La Bague Au Roi and Topofthegame on his next start though. Topofthegame finished 2nd in the Coral Cup last year at the festival but always looked like he would be a better chaser given the size of him. He finished 2nd at Exeter despite losing 20 lengths at the start before running well to finish 2nd in the aforementioned Kauto Star Novices’ Chase at Kempton. In my opinion both horses could prove vulnerable to the Pertemps Handicap Hurdle winner from last year Delta Work though. He stepped up on that effort at the festival to finish 2nd in a Grade 1 at Punchestown on his final start last season and is 3/3 over fences so far this season. With no question marks about trip, ground or the course Delta Work would be a confident selection for me at around 7/2 for the RSA Chase. The obvious starting point for this race has to be last year’s winner Altior who is now unbeaten in 17 starts over obstacles which includes wins at the festival in the Supreme Novices’ Hurdle, Arkle and the Champion Chase last year. He looks rock solid and the only danger appears to be Min who finished second behind him in both the Supreme and Champion Chase last year and looks set to do the same again this year. Sire Du Berlais has been well backed since the weights came out for the festival and it is easy to see why. He finished 4th in the Martin Pipe Handicap Hurdle last season when staying on well at the finish off a mark of 144. He is rated 142 in Ireland and was only given 3lb extra by the UK handicapper meaning he runs in this race off only 1lb higher this season. He qualified for the race by finishing 6th in a qualifier at Leopardstown in December and given his previous festival form, he could go be one of the gambles of the week. Recent market moves predict this to be the likely target for last year’s Arkle winner Footpad who also has form in 2017 when 4th in the Triumph Hurdle. He has failed to win on both starts this season but given his liking for the course he could bounce back over this further trip. He could face strong opposition though from Monalee who has finished 2nd in an Albert Bartlett and RSA the last two years, 2017 winner and 2016 Arkle winner Un De Sceaux and also last year’s Brown Advisory Plate winner The Storyteller. This race is provides punters with the biggest reason to take on a short price favourite on the basis of Paisley Park having no previous festival form. He could only finish 13th in the Albert Bartlett last year on his first run at the track but has subsequently bolted up in the Cleeve Hurdle here last time to provide backers with some confidence. He could face previous festival winners in this race though with 2014 Neptune Hurdle and 2015 Champion Hurdle winner Faugheen, last year’s Ballymore Hurdle winner Samcro if he is allowed to take his chance and also last years Albert Bartlett winner Kilbricken Storm. Many horse are plotted for this race all season and I am sure connections of 2016 Triumph Hurdle winner Ivanovich Gorbatov are gutted that he has been given a further 8lb on top of his Irish rating for this race. 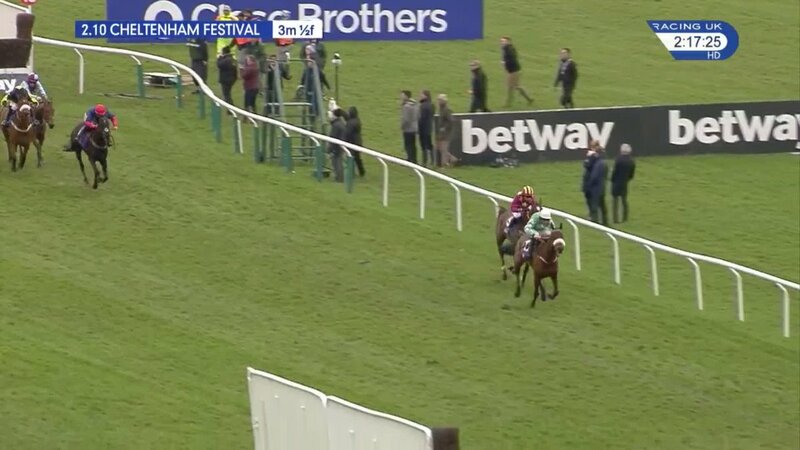 That does harm his chances and preference is for Whiskey Sour who finished 2nd in this race last season off a mark of 141 and is now only rated 3lb higher off 144 and only 1lb higher than his Irish mark. The Willie Mullins trained Relegate is the horse of interest in this race given that she won the Champion Bumper last year on her only start at the course when staying on well at the finish as a 25/1 shot. She has lacked fluency so far over hurdles but this longer trip will no doubt suit her better and she could go well at around 14/1. The starting point for this race has to be last year’s 1-2 in Native River and Might Bite who interestingly have not won this season. 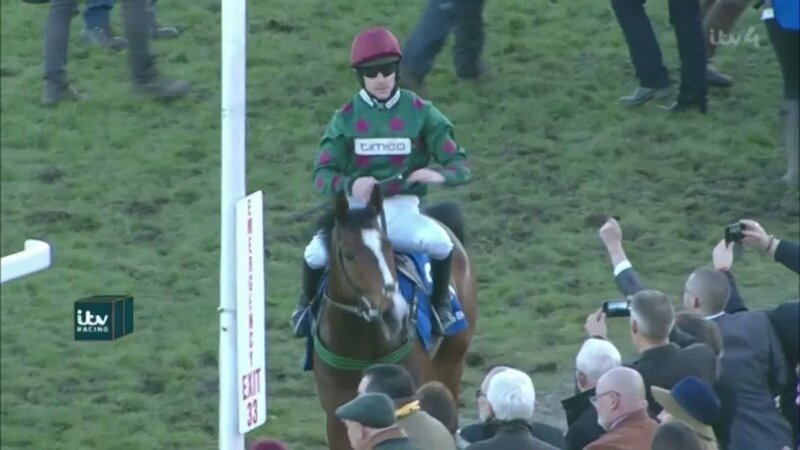 Native River finished 2nd in the National Hunt Chase in 2016 before finishing 3rd in this race in 2017 whereas Might Bite came into the race last year having won the RSA Chase on the previous season. The record of RSA Chase winners in the Cheltenham Gold Cup is fantastic and fans of Presenting Percy will hope that trend can continue this season. He won the Pertemps Handicap Hurdle in 2017 before winning the RSA Chase last season. He is bidding for a hat-trick of festival wins and despite an unorthodox preparation this year, he should put up a bold attempt. The Grand Annual is a race that suits specific horses well. It is run at a relentless gallop and requires horses to be good jumpers to maintain their position so previous form in the race is always a plus. Therefore the 1-2-3 of last year could provide value again this year. Le Prezien won the race last season off a mark of 150 and runs in it off 151 this year, the second Gino Trail ran off 152 last year and runs off the same mark this season and the third Top Gamble ran off 149 and could run off 143 this year. At 16/1, 33/1 and 33/1 for this years renewal, you could do worse than back the previous festival form again this year. Look how far behind Elegant Escape was!